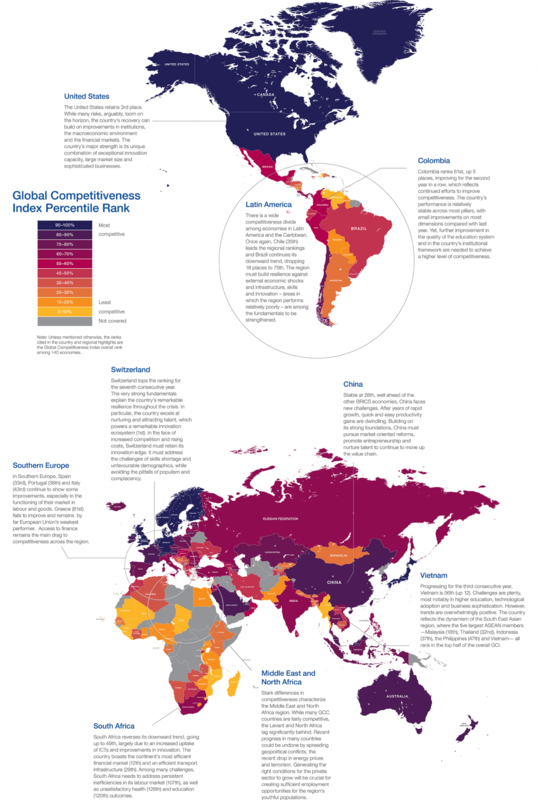 The World Economic Forum has released their 2015-2016 Global Competitiveness Report. The WEF have been publishing the Global Competitiveness Report since 1979, and today it seen seen by many leaders as the world’s most comprehensive assessment of national competitiveness. It’s as interesting a time as ever to review this report. The world economy is changing. We have established what most call a “new normal,” that of lower economic growth, lower productivity growth, and high unemployment. We are seeing more volatility in our exchange rates and commodity price fluctuations and hyper-polarization surrounding geopolitical tensions as well as local politics. As the world attempts to master, manipulate, and maneuver this “new normal,” it’s also looking to world leaders to set an example and provide insight along the way. Despite global efforts, economic growth remains low and unemployment high on a global scale. The recovery has taken longer than many expected, and recent geopolitical shocks – from the crisis in Ukraine to conflicts in the Middle East, terrorism and the migrant crisis – have added to economic difficulties. The WEP believes that addressing constraints to growth on the supply side could expedite the process of restoring growth. 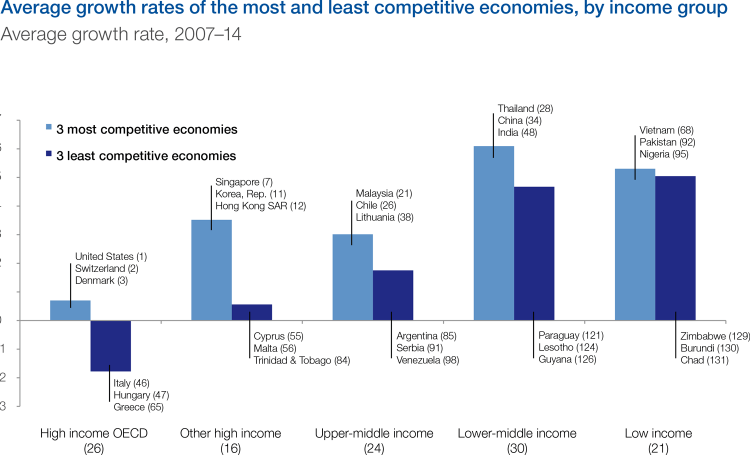 During the crisis, more competitive economies universally outperformed less competitive ones in terms of economic growth. Highly competitive economies were found to either withstand the crisis better or recover more quickly than those at the bottom of the competitiveness rankings. Moreover, this trend was found to hold true at every stage of development. Globally—and especially in the years following the financial crisis—there has been a fundamental shift away from traditional manufacturing jobs/industries, towards information and communications technology (ICT) jobs/industries. Talent-driven economies have displayed a greater capacity for adapting to these changes brought about by the tech revolution and have been able to reap their benefits. If economies around the world want to be able to adapt, at the core, they have to have the capacity to leverage talent. One of the biggest risks of high unemployment figures is the de-skilling of a significant segments of the labour force and growing discontent. For highlights from the report, click here, or you can read the 403-page report in full.